This software will handle the tedious task of extracting the photos received by mail and put them in the folder of your choice. The software performs a thorough search in your inbox using keywords. 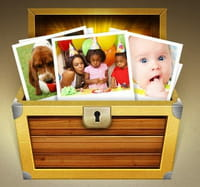 Download the software (free), enter your email address and password and Lostphotosapp shall find all pictures stored in your mailbox and classify them. The software is available on Mac and PC!. Published by jak58. Latest update on October 19, 2012 at 05:58 AM by jak58. This document, titled "Lostphotosapp - Retrieve your lost pictures from your mails," is available under the Creative Commons license. Any copy, reuse, or modification of the content should be sufficiently credited to CCM (https://ccm.net/). How to optimize your Internet download speed?